At the crossroads of Center City’s preeminent arts and culinary destinations, offering the finest aspects of the Philadelphia lifestyle. Whether you prefer an afternoon sampling the boutiques and restaurants of Rittenhouse Square or spending an evening among the exciting nightlife in Midtown Village, The Atlantic is positioned to give you convenient access to the finest aspects of Philadelphia’s rich cultural and entertainment venues. Recognized as one of the premier dining destinations in the country, Center City Philadelphia boasts a diverse selection of restaurants, bars, and lounges, all within walking distance of The Atlantic. 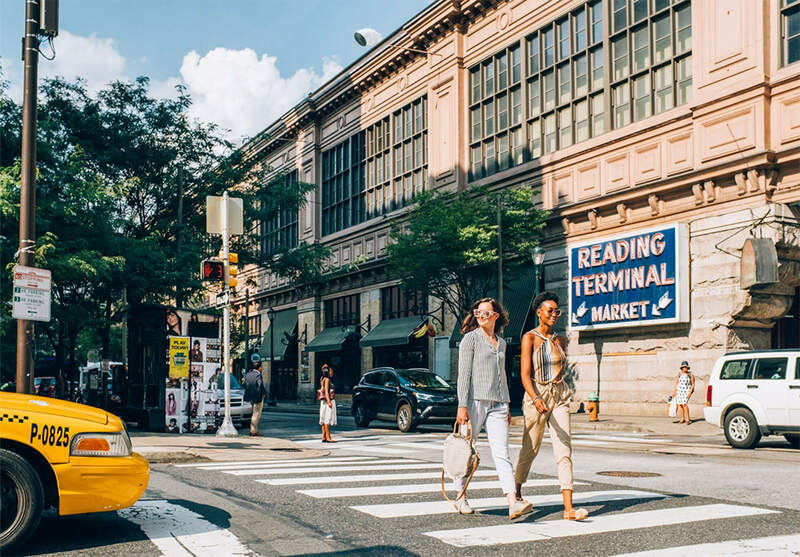 The Pinnacle of the Avenue of the Arts, The Atlantic is surrounded by the iconic Kimmel Center and Academy of Music, with Walnut Street Rittenhouse Row destination shopping steps from your door. Philadelphia’s acclaimed squares and newest civic spaces are minutes away from the residences at The Atlantic, offering daily outings that balance city life with outdoor splendor.